Ever since its introduction in 2006, LEVERevolution ammunition has brought grandpa's lever action rifle out of retirement and turned it into a firearm everyone is shooting. Featuring a soft polymer flex tip, it's tough enough to stand up to a jacketed bullet, but soft enough so it won't dent the primer of the round in front of it or cause accidental firing in a lever gun. 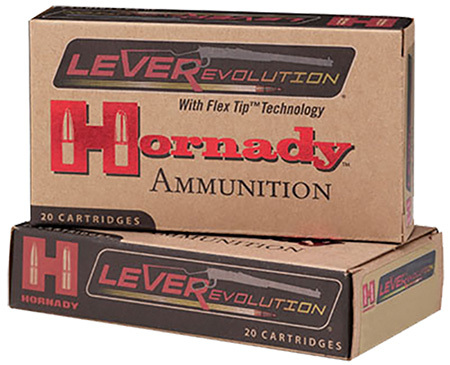 This new technology makes LEVERevolution cartridges safe in tubular magazines.